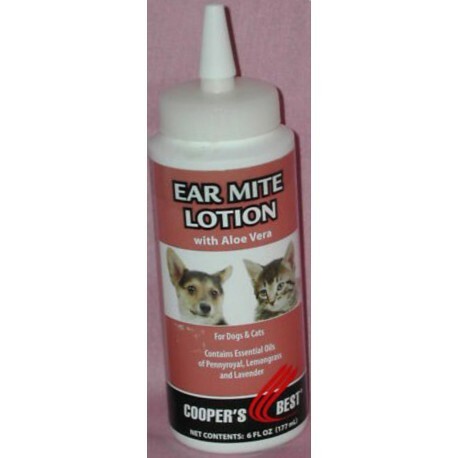 All-natural Ear Mite lotion is an insectide-free preparation for conditions associated with ear mites. 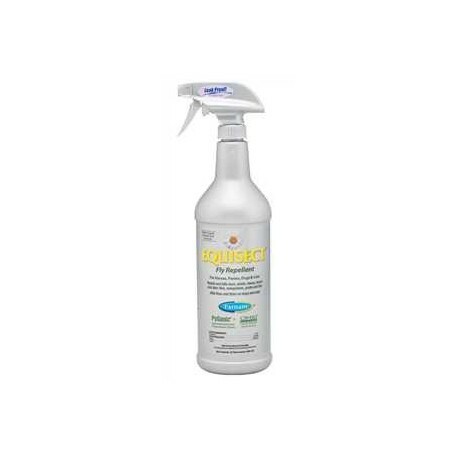 45% Permethrin to kill and repel mosquitoes, lice and mites up to 4 weeks, fleas up to 5 weeks, and ticks up to 6 weeks and help prevent re-infestation. For use on dogs and puppies 12 weeks of age and older. Do not use on cats. 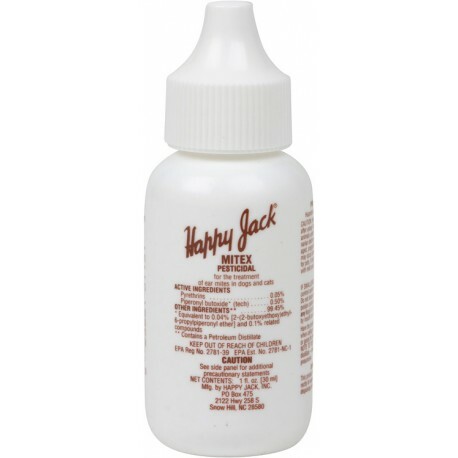 A long-lasting, complete spot-on cat/kitten flea and tick treatment. 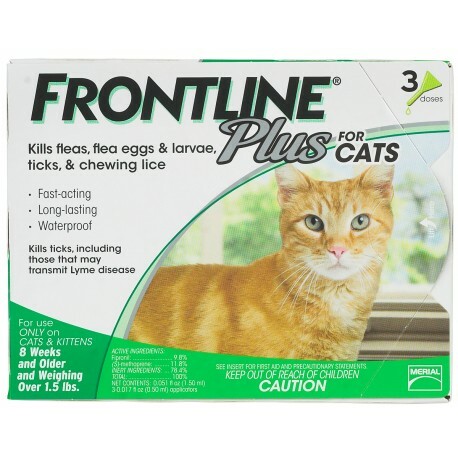 Kills adult fleas on your cat within 24-48 hours. Eliminates all lifestages of 4 major ticks including the ones that may transmit harmful illnesses like Lyme disease and Rocky Mountain spotted fever. 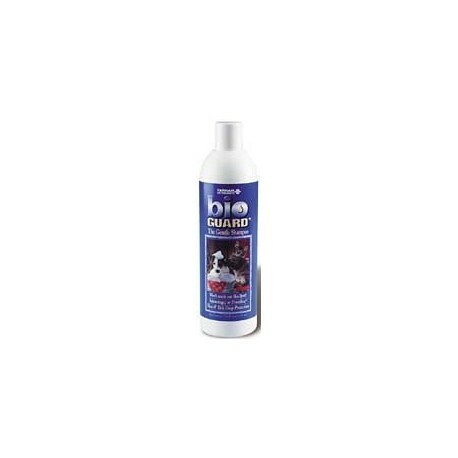 Gentle water-based formula, pH-balanced, lathers up quickly and rinses out easily. Conditions the coat. Gentle enough to use on puppies and kittens. Mild but concentrated, this lathering shampoo is enriched with coconut extract, lanolin, and aloe. Kills fleas, ticks and lice on dogs, cats, puppies and kittens over 12 wks of age. Repels gnats, flies and mosquitoes for 2-3 days. 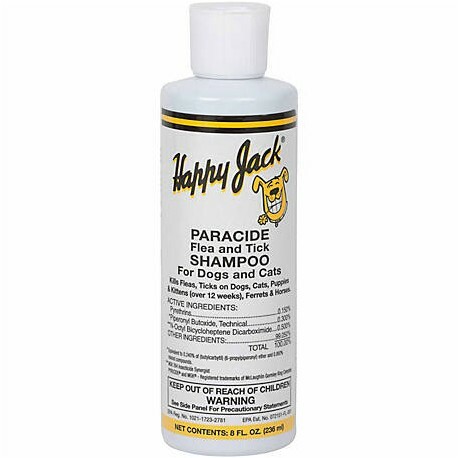 Removes loose dandruff, dirt and scales; leaves coat soft and shining. 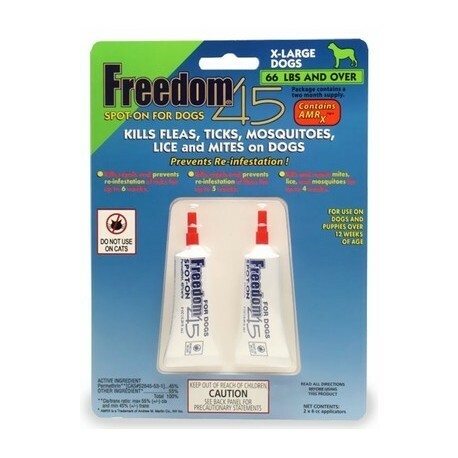 A water-based, environmentally friendly concentrate that provides 30-day residual control of fleas, tick (including deer ticks), lice, mange mites and stable flies. Can be used as a dip, sponge on or premise spray. 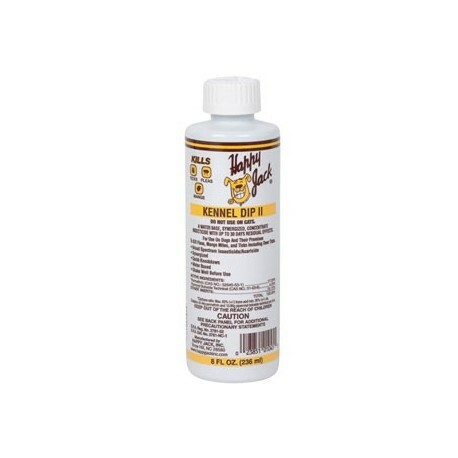 Compare Kennel Dip II to other formulas and spot-ons. Effective and economical. 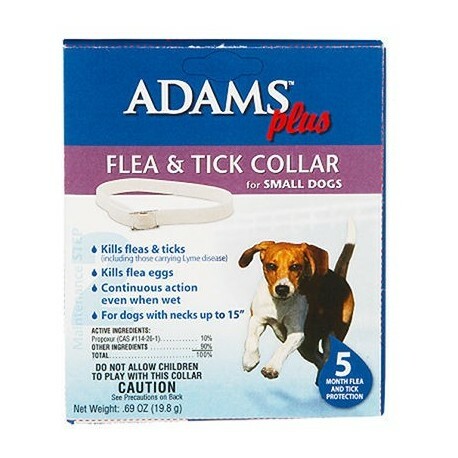 Adams Flea and Tick Collar For Small Dogs kills fleas & ticks (including those carrying Lyme disease) for up to 5 months. Continuous action even when wet. For use on dogs and pupppies 12 weeks of age or older. Small is necks up to 15 inches. Kills and repels fleas, ticks, mosquitoes, ants, crickets and other insects For use on residential lawns, trees, shrubs, roses and flowers Treats up to 5,000 sq. ft.